It is difficult to increase or decrease weight in one day. Many people do dieting to reduce weight. However, they cannot get success. One should include vegetables, salad, fruits and soup in their diet. There is some food that does not have calorie. They are easy to digest and cannot increase weight. Liquid Fat: You should avoid drinking liquid drinks such as soda or fruit juice as this increases weight. It has high amount of sugar. You can drink detox tea, lemonade or ice tea. Breakfast: Many people believe avoiding breakfast is good to reduce calorie. But they eat more during a day. One should eat one bowl grains with fruit or low fat milk products. Water: It is necessary to drink water. This keeps body hydrated. One should drink at least 6-8 glasses of water during a day. 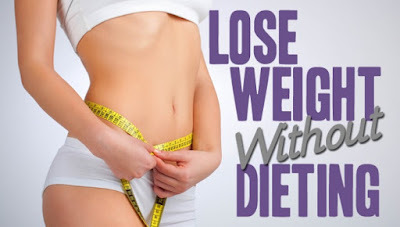 This removes dirt form the body and you can easily reduce your weight. Water also improves the metabolism of the body. Sleep: According to a Michigan University research, those who reduce 2500 calorie every day they can reduce calorie by sleeping one hour more. One should avoid unnecessary activities such as snacks and other activities. Vegetables: One should avoid variety of food. They should include vegetables and fruits in their diet. More variety of food attacks people to eat more food. Fruits: Eat more sprouts. Fruits has high amount of water that is beneficial to reduce weight. It has nutrients. One can eat cherry, berry, peach, watermelon, apple, guava or tomato to reduce weight. Meal: One should eat fruit before half an hour of having meal. The fruit is easily digested. It is helpful to reduce weight. Protein: It balances many types of hormone therefore hunger can easily control.